You see a map that contains territory of Russia. city Divnogorsk presented. town Sorsk free download. You can find here town Balakhta download for free. town Krasnoturansk for Garmin. You can find here town Idrinskoye marked. town Bograd marked. On this map town Sayansk download for free. On this map town Ovsyanka download for free. Zhemchuzhnyy download for free. You can find here Zverevskiy for Garmin. Znamenskiy Skit presented. You can find here Znamenka for Garmin. 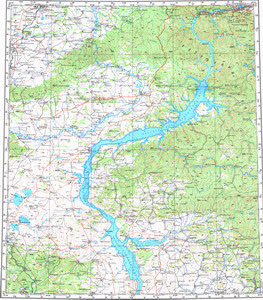 On this map Zhivonachikha free download. You can find here Zezezeno presented. Zelenaya Gorka presented. Zaryanka download for free. You can find here Zarechnyy for Garmin.